We’re not your run of the mill engineering consultancy. We focus on the needs of the people and communities around us, to help infrastructure owners and managers achieve effective outcomes and services. We do this by sharing our skills, experiences and solutions with government and private organisations. We work side by side with our clients so that we become an extended resource and a team member. In all the work that we do, we actively seek to deliver the right outcomes, first time, and as leanly as possible. This helps our clients to achieve the best possible outcomes that they can. We collect information on infrastructure assets. We gather and validate inventory, condition and spatial data for almost any type of infrastructure. We undertake surveys and inspections (safety, maintenance and condition) to locate asset’s and understand their attributes and performance. We work with our clients to turn their asset information into knowledge. This includes the development of engineering designs, development applications, asset management plans, asset valuations, works programs, management strategies and policies. A holistic solution, we can manage projects from conception and construction, through their lifecycle to eventual disposal. For those who are new to the infrastructure industry, or simply looking to improve their understanding and practices, we provide a range of mentoring solutions. We work closely with clients to help them visualise their required outcomes or service delivery needs. Then through mentoring, we enable improvements to their infrastructure management practices to occur. In today’s era, managing large information data sets and producing useful knowledge outcomes, is made easier through software tools. We provide guidance to clients on all areas, from software procurement up through to bureau software management solutions. We also provide our own range of software tools to help asset managers create optimal decisions. 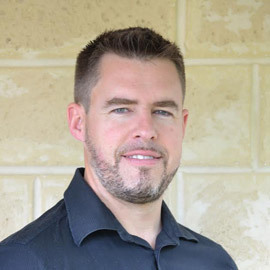 Ben has over 18 years’ experience in asset management, both in Australia and England, across key areas such as roads, paths, bridges, buildings, public open space and drainage. Ben has delivered asset management services to Local & State Governments, private industry and associations. A multi-award winner, Ben was also the recipient of the 2010 University of WA Dr. Harold Clough prize in Engineering Asset Management and Risk. Forming AIM in 2012, Ben’s stand out trait is his ability to apply the right solutions to any client’s infrastructure management objectives. "The City has engaged AIM over the past three years to assist in preparing, maintaining and improving our Asset Management Plans. AIM’s service has always been professional, prompt and ‘hassle’ free and I would recommend them highly." "The Town has utilised AIM on a continual basis since early 2013. The staff are very professional, reliable and understanding of our business requirements. I have no hesitation in recommending AIM to any organisation"
If you have any questions or would like to request a quote from us, please do not hesitate to give us a call on 08 9297 2516. Alternatively, please fill out the contact form. © 2019 Asset Infrastructure Management. All rights reserved.